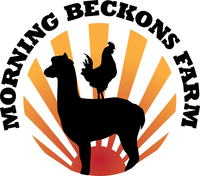 Morning Beckons Farm LLC is an alpaca farm located in Thompson, Connecticut owned by Julie and Vern Butler. Before you spend $10000+ at an auction check out these dams. Over the next several weeks we will be adding 75+ quality dams from Heatherbrook Farm priced from $2000-$3500. They are primarily based on west coast genetics and all have a proven track record. They are the foundation dams that put both Heatherbrook and Morning Beckons on the map. Yes, they are older alpacas but if they produce even one more cria for you (most will produce several more) your investment will be worth every penny. These dams will be bred to the herdsire that has produced the best cria to date. They will also include another half price breed back to any Heatherbrook or Morning Beckons owned/co-owned herdsire. Whether you are a new breeder or an established farm, these dams will represent the best value on the market today. We truly are "Making quality alpacas affordable for all". Welcome to Morning Beckons Farm. Morning Beckons Farm is a 250-acre estate located a short distance off Route 395 in scenic Thompson, Connecticut. We are conveniently located a short drive from most every major city in the Northeast. 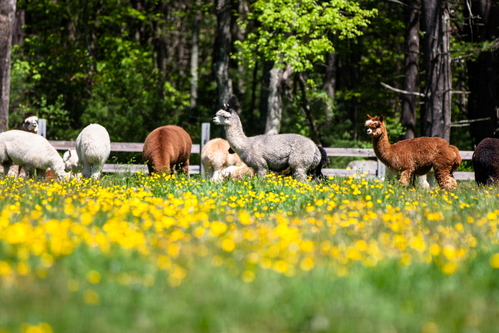 Diverse genetics from several mature breeding programs are the basis for our 300+ alpaca herd. Considering this foundation, it is no wonder our breeding program produces show-winning alpacas in every color and class. Let us help you make the best choice for your herd! In addition to providing our customers with access to premium alpaca, we pride ourselves on the support we are able to offer our fellow farms. Because of our size, we are able to share our buying power with smaller farms for items such as hay, grain, medical supplies,etc. And if you are just starting out, we can help you plan your paddock and pasture to make the care of your herd that much more efficient and fun. With our working relationship with Tufts School of Veterinary Medicine and Dr. Purdy of The Nunuo Project, we have access to state of the art information on alpaca nutrition, breeding and parasitology. We will be offering classes regularly to help educate both the prospective buyer and the seasoned farmer about the new techniques available in these areas to help them maintain a healthy herd. Please email or call us and let us help you get started on your very own successful alpaca farm.